As organizations of all sizes continue to re-evaluate and address legacy HR and payroll systems and processes en route to enhanced digital operating models, cloud-based applications are increasingly being selected as the vehicle for HR transformation. With the introduction and increasing prevalence of advanced APIs, buyers are being afforded the ability to leverage a “best of class” mix of platforms and solutions that meet their unique technology needs, while offering a tightly integrated, unified cloud landscape. 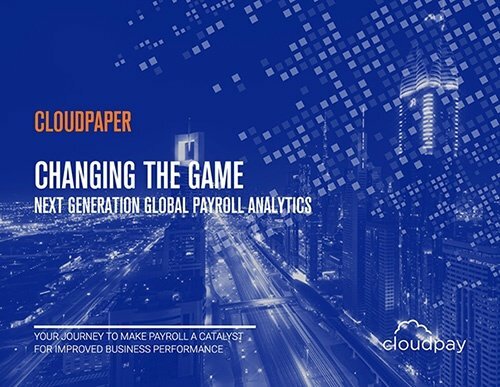 Regardless of the HR technology selected, a critical factor and component in successful global payroll transformation today is the ability of HR and payroll applications to integrate and exchange data seamlessly, in real-time. 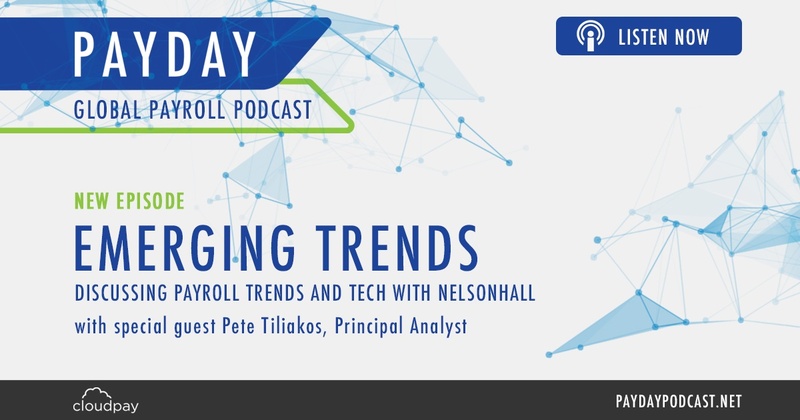 However, NelsonHall’s recent Payroll Services Client Expectation Analysis report found that while payroll buyers are most often operating on newer cloud systems, only about 40% of those surveyed currently have an integrated HR and payroll solution in place. The absence of this deep integration commonly results in a poor user experience, an inability to derive complete HR/payroll data and, more importantly, reliable analytic insights globally. As a result, this leaves payroll continuing to manage data manually and in an outdated way. However, this is where APIs with dynamic integration paired with automation are truly transforming global payroll delivery – by fundamentally changing the way payroll data is gathered, processed, and handled by payroll operations. Thus, payroll providers are investing in and building these dynamic integrations to connect their solutions to leading cloud platforms and the various systems leveraged by HR today. An example of this is CloudPay’s Connect 2.0. 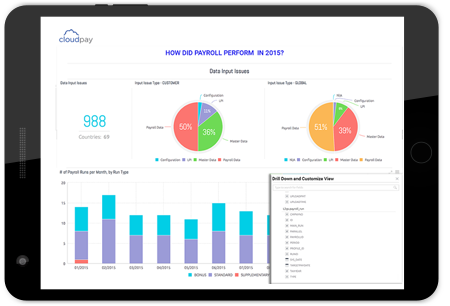 Historically, payroll has been a very file-based operation, with legacy client HR technology ecosystems leveraging multiple file types, shuttled by SFTP servers with limited automation capability – requiring payroll teams to constantly manage multiple inbound and outbound interfaces to move critical data to and from the payroll system with each pay cycle. More specifically, payroll has long relied on various Excel file types as the preferred vehicle for delivering the critical data required for payroll processing, with inbound payroll files often containing thousands of lines of data for processing (depending on the organization’s size and complexity). In the past, legacy methods processed and treated these files as if they were a single data point, meaning regardless of the number of lines of accurate data present amongst the thousands, any anomaly or failure meant the payroll team had to correct the data, reproduce the file, load, and process until no errors were detected. This manual process often adds days to payroll processing cycle times and magnifies the risk to on-time and accurate results. Last year, CloudPay introduced Connect 2.0, dynamic integration enabled with asynchronous syncing and intelligent automation, that leaves legacy file-based processing behind in favor of a record-based processing approach and provides clients with greater flexibility, visibility, and control over how their payroll data is processed. Connect 2.0 offers an advanced integration that acts like a database for moving payroll data to and from CloudPay’s global payroll platform. As data files are submitted for processing, the data points are extracted from each source and housed in integration stores, where they are validated automatically. Employee-level errors are isolated for resolution, allowing all other correct data to process while payroll resolves the invalid data on an exception basis, vs. reproducing and reprocessing full files. Clients can customize their validation parameters to suit their unique needs, and leverage custom validations at the business, country, and individual payroll level. More importantly, it allows them to send data to CloudPay in the format of their choosing, e.g. API, XML, CSV, XLS, etc. With payroll historically leveraging Excel file formats in their daily operations (which have forced legacy file-based data movement), Connect 2.0 overcomes this by converting legacy files to enable record-based processing capability. In turn, this enables future improvement opportunities through payroll automation. 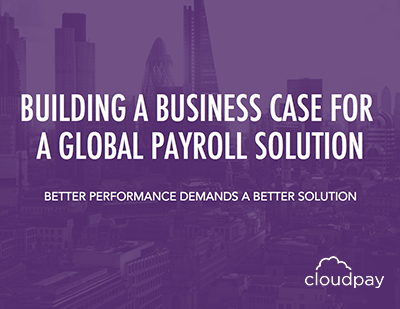 CloudPay is focused on reducing the payroll cycle times and improving data validation results for its clients and continues to roll out the capability to its client base with strong results. In one example, Connect 2.0 enabled a Fortune 500 global financial services firm to automate its payroll data input and validation processes, reducing its payroll cycle time by 20% while reducing post-processing (gross to net) errors by 90%. Connect 2.0 has become standard for new payrolls onboarded to CloudPay’s payroll solution and will continue to be rolled out for existing clients when they are ready to make the switch based on their unique technology landscapes and needs. Connect 2.0 strengthens CloudPay’s value proposition, particularly against traditional payroll vendor aggregator models which often rely on legacy middleware and connectors to stitch together a global payroll landscape. By offering a dynamically integrated, unified, cloud-based payroll solution enabled to cover over 100 countries, including certified APIs to leading cloud HCM platforms such as Workday and SuccessFactors (with others in progress), CloudPay is well positioned for growth, particularly with multinational corporations seeking next generation global payroll capability and solutions. This article was written originally for NelsonHall and is republished here with permission.